I would like to create an RP group loosely based off of the Wapsi canon. This is a loose basis, as there are other influences. However, if you are interested in joining this RP group, let me know. Also, if you would like to know the other influences, please do the same. You come all this way out saying squat and now you're trying to tell me that a '56 Chevy could beat a '48 Buick in a dead quarter mile? I liked you better when you weren't saying squat kid. Go to bed. 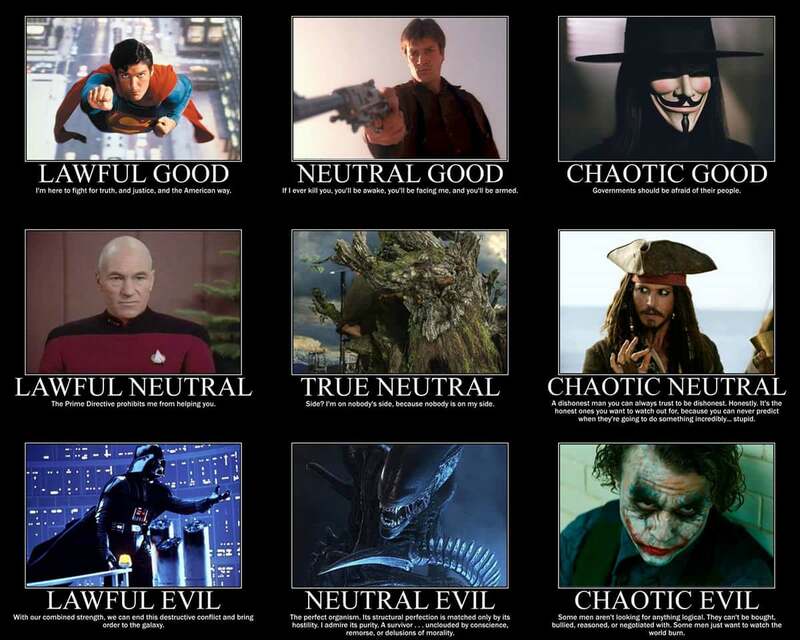 Interesting that no one has (as yet) challenged my proposed alignments! And TheOKTVSet, please tell me more about your project! Atomic wrote: Interesting that no one has (as yet) challenged my proposed alignments! Well, I'm not so certain that categorizing Tina as Lawful Good really captures the essence of her. Both Tina, and Phix, have made the point that she is still essentially demonic in nature. She is not, and cannot be "domesticated", and is still somewhat dangerous even to her friends. She can "strike out" without warning, just as she did when she punched out Nudge, and then nearly Compelled Shelly into killing Nudge. She's good-hearted and good-focused most of the time, but there's still something wild and chaotic about her that's restrained only by the Sphinx-enforced rules, and the consequences of harming a human. She is aware of, and respects those rules... but perhaps only because she has no choice in the matter. Being Lawful isn't an inherent part of her nature. It feels to me as if her real nature is more Chaotic. She's more Good than Neutral IMO. The same applies in a somewhat similar way to Conscience. A middle aged satyr disguised in a scrubby beard as though he were a homeless man, sat nearby Lake Calhoun. While not separate from the timeline, he has been aware of the repetition due to frequent visits in the hopes of luring Phix into his boudoir. His hair a briar, heavy facial hair, and difficulrt controlling his body hair despite years of being a supernatural. After a few minutes, he takes five or six stones and gets a good five skips out of each. An introvert satyr, he's been ostracized for some time. After all, his kind are... well, everyone knows. His beard, less than a quarter length of ZZ Top, rests against his chest as he considers his options. The world is changing, and rapidly. Fond or not, he must deal with it. No, and this is from a person that has played since second edition. There are not nine alignments. It's a sliding scale. (Ah, sorry, but as this is a young teen comic, I would prefer to avoid anything sexual outside of private messages. You are all welcome to do what you do, but I know the comic started as Y12, so I'd prefer not to sully that. I may disagree with some of the plot turns (not due to personal belief) but I would like this section where new readers can play along. I know. I'm being a bossy old dude, but I believe Wapsi Square is a good influence for growing young adults, and do not want to have lewd content out and about. TheOKTVSet wrote: (Ah, sorry, but as this is a young teen comic, I would prefer to avoid anything sexual outside of private messages. You are all welcome to do what you do, but I know the comic started as Y12, so I'd prefer not to sully that. I may disagree with some of the plot turns (not due to personal belief) but I would like this section where new readers can play along. Uhhh... you HAVE actually read the webcomic, right? Even back in the day, Monica was, almost from the gate, sexualized as a person, and was a major source of her drama in the early strips. You had 'drunken frat chicks' (i.e. the chimera/Golem Girls), M's relationships (plural), plus handling other very mature scenarios. To say nothing of all the stuff that has gone on since. If you want to keep your roleplay session Y12, that's perfectly cool, and I can certainly respect that. But this webcomic is not, and was never, Y12. PG13 to R is how I’ve seen it described. GlytchMeister wrote: PG13 to R is how I’ve seen it described. (I wait to re-read it every two years. Up until the timeskip, it's mostly PG-13/15. There's heavy topics and violence, but less in the way of topics. Managed to regain access. For those that are interested in this, here's the forum. I'd love a few moderators, since I don't like telling people what to do outside of setting small ground rules. I hope this is okay with Pablo. If users would prefer, I could try to organize a subreddit. Sorry for the spam. I likely turned some folk off with the few rules I wanted to set down, and the lack of planning. I would like to get this project underway, and hope to catch up to the current events soon. This is why I would like other moderators, etc, to assist me. I know, it's a pain, but everyone gets equal votes. I will not veto anything as admin, and I would like to conduct an only semi-canon group. The main characters would be absent or NPCs, NPCs seeming the best choice. I think it best to prevent severely powerful creatures, if you're supernatural. I plan on separating Supernatural from Normal individuals to maintain MIBs masquerade. And if that's changed in the last two years, please don't spoil it. I can accept minor tips, but spoilers tend to ruin a comic like this. Secondly, for those interested, I would like to ask a question. The Library and Annex, from my last reading, were permit only (outside of students). Should that be maintained, or has it become a free to enter place? Final post. I need admins to help me run the board, assuming Pablo is okay with it. I have not read the series in two years, so I am behind. However, I would like to bring it up to date and capable of roleplaying for those who are alright with non-canon (all main characters are NPCs) material. I thank Raye from back nearly ten years ago for giving me this idea. I would like to do it more completely, but it is not something I can do on my own. I will need help. I come up with projects, but never finish them. I don't mind spoiler topics, since I have catching up to do over the past two years. However, I would like people invested in the series to act as DMs. Nobody has responded. I thought the ceonept good, but it is clearly lacking. For other long time fans, I ask of your assistance. I think there’s a few things to consider: one, most of the fans active on this forum are low on free time to admin or mod. The remainder either aren’t interested in this in general or aren’t interested in RPing in this particular style. And finally, the few remaining are kinda already doing something vaguely along these lines and have been doing so for... uh... how many years, guys? It’s been a while. We’ve written enough for multiple books, so we’re fairly well established. It probably has nothing to do with your idea or the project themselves - just not very... fertile soil, so to speak. GlytchMeister wrote: I think there’s a few things to consider: one, most of the fans active on this forum are low on free time to admin or mod. The remainder either aren’t interested in this in general or aren’t interested in RPing in this particular style. And finally, the few remaining are kinda already doing something vaguely along these lines and have been doing so for... uh... how many years, guys? You make a good point. In my latest re-reading, it seemed as though that it was an untapped market, as individuals wished to get involved with the story without hampered the c. As for moderating, I have no problemdoing it, assuming people can take a "semi-hands off" approach, given my schedule. That's why I was glad was an individual asked about the project/concept. I've been reading since the start, and thought that WS was rife for it's own roleplaying situation, provided it's kept within reason (the highschool from Shelly meeting Justin, ETC). Provided it doesn't go off the rails, one or two people can moderate just to make sure it's appropriate, while t he others can mess around in universe. Again, it's been ages since I reread the comic, so I don't know what the best context to put this into is. I prefer a gestalt, but that may no longer be viable. Sort of like wanting Daren's to still be a "place"